As parents, we have a plethora of responsibilities when it comes to making sure the little people that we are in charge of turn out to be big people that can take on the world. As Christian parents, those responsibilities go a little further to make sure that we turn those little people into big people that can take on the world without the world taking them. I won't lie. My biggest fear as a parent is that when my son is old enough to decide, he will decide to walk away from the Lord. There. I said it. It's out there. I've never really confessed that fear before but there it is. As I continue to dialogue with other parents, I find that my fear is not so abnormal after all. As a matter of fact, it seems to me that a vast number of Christian parents have this exact same fear. But, why? Why, if we are living our lives as much in fellowship with Christ as we see possible, are we so afraid that our kids will turn out any different? I know for me, perhaps, it is because I've seen it firsthand. I've seen the offspring of an amazing Christian couple do a complete 180 from loving and proclaiming Christ in high school to being completely God-less as an adult. It truly makes no sense. I mean, let's be real here. I have no problem understanding the child of hypocritical parents walking away from the faith, but one whose parents are faithful and have trusted the Lord their entire lives? How does a person walk away from that? In my "Parenting by Design" devotional, it talked about this a couple of weeks ago. One of the most poignant things that stuck out to me was this: "We can't force our kids to be godly. But we can be godly parents." And that is just it. Sure, you can force your kids to attend church or youth group. You can force your kids to bow their heads in prayer at the dinner table. You might even be able to force your kids to hang out with other kids of Christian families. However, you will never be able to force your kids to be godly. But you can be godly. You can set the example. I may not be able to control how my son turns out spiritually. But as long as he lives under my roof, I can be a godly parent. I can extend grace. I can serve those less fortunate. I can love unconditionally. I can cry out to God on my knees and allow him to witness it. I can study God's word and allow him to be a part of it. I can teach him memory verses. I can tell him how much Jesus loves him. I can make as many moments as possible teaching moments where I intertwine his actions with God's love. I can teach him to pray. I can read him bible stories. Most importantly, I can live out my faith everywhere I go so that he never sees me as being one way at church and another way at home. I can be a woman full of integrity and honesty. A woman of humility and a gentle spirit. A woman who submits to her husband and treats him with respect. I can and will do my utmost to be that woman so that he knows and understands what it looks like to follow Christ. Most importantly, I have to surrender this fear I have to the Lord and trust that He is in control. 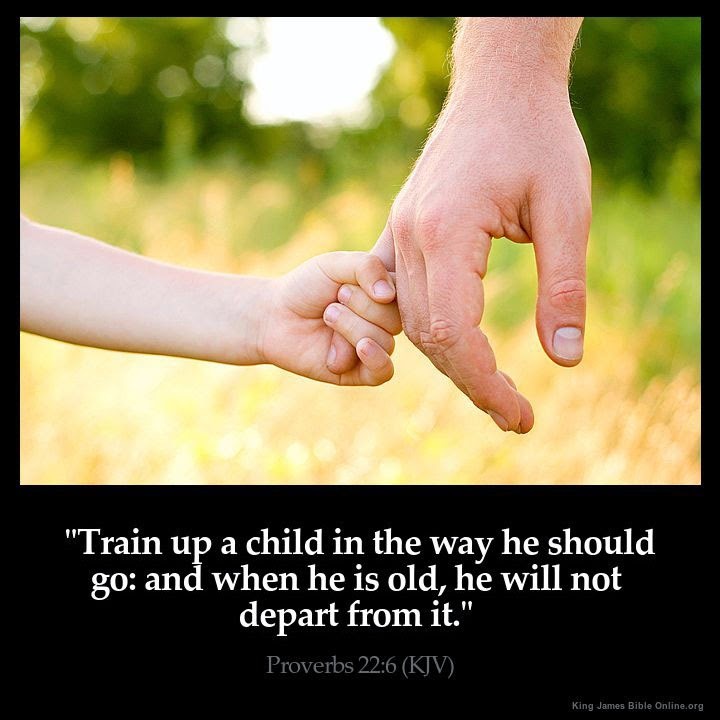 I must trust the promise that if I "train up a child in the way he should go, when he is old he will not depart from it." So, starting today, I shall surrender this fear. I shall lay it at the cross. I may have to do this daily, and maybe more than once a day as he gets older and tougher challenges occur but my deepest prayer is that my precious son will grow to be a servant leader who loves God and loves people. I pray that over him and surrender all the rest. "The greatest gift we can give our kids is the example of a deep relationship with God and a desire to know His truth. The 'solid food' of spiritual maturity will overflow into our parenting as we tap into God's wisdom. Grow in spiritual maturity by making it a priority to spend time with God."